Narcotics incorporate both prescription pills and street drugs, often referred to as opiates or painkillers, and are one of the most commonly abused substances in the United States. They are highly addictive and millions of people have developed substance abuse disorders by using and abusing them. Overdosing on Narcotics could lead to coma or death. HIV, Hepatitis B and C can be spread through syringes, needles and other materials used to inject Narcotics. Various skin infections are common, as are diseases otherwise transmitted sexually. Lumps in the mixture can be damaging as well. These illegal drugs are usually mixed with baking soda, talcum powder and/or poisons. If there are lumps, they could get stuck in your veins and cause blood clots or infections. The clots have a high chance of traveling to your lungs, heart or brain and could kill you. Snorting Heroin can damage the septum, cartilage that separates the left and right side of the nasal cavities. Narcotic use in pregnant women can cause the babies to have birth defects and neonatal withdrawal. Narcotics bind to the pain receptors in the nervous system to block the pain signals, which is why they are so successfully work to alleviate pain and are often prescribed for this purpose. They also make the user feel extremely relaxed or calm and cause a sense of well-being or euphoria. Unfortunately, this is primarily what makes these drugs so addictive. Narcotics are downers which means that they slow down the main systems in the body. They may be described as Central Nervous System (CNS) Depressants, acting to slow or cease the activity of the nerve complex of the brain and spinal cord. This is why these drugs will make a person sleepy or even nod off unintentionally. With high doses, the breathing may become shallow or slow and the heart beat to become irregular. If your loved one wakes up claiming that he or she will not buy or consume Narcotics, then ends the day high, that could be a problem. When people are addicted to certain Narcotics they might want to stop using, but find that they cannot. They might need help. Most people who suffer from a substance abuse problem cannot relax unless they get high. Addiction to Narcotics causes the brain to believe it needs the drug to do so and it is common to feel stressed, depresses or anxious when the drug isn’t available to use. When people are struggling with addiction, they typically put substance abuse before anything else. If you notice your loved one ditching plans to use Narcotics or canceling, too sick and tired from the night before, he or she may have a problem. Our video series was created to help people understand the dangers of addiction, Narcotic addiction being one of the deadliest. People take to Narcotics to relieve stress, pain and the feeling of loneness. After constant use, those people can develop a chemical dependency to the substance he or she favors. These videos help inform people on the dangers of each drug. You can share these videos on Facebook and Instagram to educate friends and family. Painkiller abusers get their drugs from friends or family members. Only about 4% get narcotic from illegal dealers or strangers, and about .1% obtain narcotic from the Internet. Admitting that you have a problem can be difficult. Nobody wants to admit they have a problem and even further, nobody wants to admit that they are powerless over it. It makes them feel weak and impedes their need to have control. Recovery is about learning to give that control over. In rehab, clients will learn how to trust the power of the group and professionals as a means of getting help. The first stage of rehab or treatment is detox, which cleanses the body of all the toxins accumulated through abuse. After detox, you will go through the therapeutic dimension of treatment and learn that you are not alone and you can’t fight addiction by yourself. One of the most important things to do when you are in a drug treatment facility is to understand the various reasons why you are compelled to do drugs. Some people have severe co-occurring disorders that exacerbate their substance abuse problem. These conditions, which often take the form of mental illness disorders like bipolar disorder or PTSD, generally make people more prone to abusing drugs. In individual therapy, the therapist will outline the various conditions that perpetuate abuse and come up with solutions for how to deal with them. Individual therapy sessions will help you develop strategies for sobriety following rehab as you identify your triggers for using and plan for them. The first step to recovery is detoxing, allowing the drug to completely leave your system and the body to readjust so that it can function again without the drug. When you decide to detox from Narcotics, it is recommended that you do so under medical supervision due to the possibility of severe withdrawal symptoms. These symptoms include low energy, anxiety, insomnia, abdominal cramping and muscle aches and pains. Withdrawal symptoms can last anywhere from one week to one month. You may have cold sweats accompanied by goose bumps, vomiting and diarrhea. In withdrawal, your body will craving more of the drugs as they leave your body. These can be very uncomfortable, but medical professionals can help make the detox process as comfortable as possible. Dealing with withdrawal symptoms is often the excuse people use to reject the idea of Narcotics rehab. The best way to handle withdrawal symptoms is to do so head on at an inpatient detox center, where there are medications and procedures to help you through. If you call us now, a representative can help you find an inpatient detox facility that fits your needs. Not every detox can help with every drug, as most detox centers specialize in specific drugs. If you are looking for an inpatient detox facility to get off Narcotics, give us a call so we can ensure that you find a quality facility in this critical moment of recovery. Narcotics is a word often associated with Heroin and other illegal street drugs. People may even think of their favorite crime show on TV when they hear about Narcotics. What those people might not realize is that the most common Narcotics are prescribed by a doctor. No matter how the drugs are obtained, Narcotics addiction should never be taken lightly. Drug addiction and alcoholism drag people into holes that seem impossible to climb out of. People end up in crippling finical situations and watch their close relationships diminish into distrust and pain. People who have an addiction to a harmful substance, might not know where to turn for help. They may feel so isolated and guilty about their problem, they think the only way to live is to take more drugs. Many people start out abusing Narcotics because they feel depressed, so the drugs give them a good feeling that they never had before. The problem is that their brain develops a reward pattern, which associates the drug with happiness and feeling good so that feeling good without it seems impossible. Their brain is hijacked, in a way, so that using the drug supersedes all other things that were once important. If you have an addiction to any kind of Narcotic and want to get better, then please call us now. There are people who want to help you. Getting sober is an option, if you are willing to put in the work. Developing a chemical dependency to Narcotics can be life-threatening. After any constant use of Narcotics, there is a chance that the user can become physically dependent. The body adjusts so that it can function while the drug is in its systems. Once this happens, if you were to stop using, the body would be out of balance and you would feel sick. There is also psychological dependence, which is when you believe that you need the drug to feel normal or to simply be okay. This isn’t anyone’s fault, though, and usually starts to happen before the individual realizes what is going on. Getting back to a happy and sober life is a possibility. People often refuse to seek professional help because they think their chemical dependency to dangerous substances is too strong. As long as you are still alive, there is a chance for you to fight back. Without rehab, addiction will only lead you to prison or your own death. If you are ready to find out more about how to enroll into a rehab program, call us now. Our representatives are years into their own recovery from substance abuse and have been where you are now. Everyone has different needs, which is it is recommended to complete a personalized program. When you call us, we can help you find a center that can help you fight back against your chemical dependency to Narcotics. There is always hope for change. What Do I Say in A narcotic Intervention? You will speak directly to your loved one, only speaking in love and concern while leaving out judgment or anger. Let him or her know the negative impact their narcotic addiction causes you. What If My Loved One Does Not Go To narcotic Rehab? If your loved one does not accept narcotic treatment, he or she will know there is help when he or she is ready. Keep showing them support without enabling your loved ones’ behavior. The confrontation of a loved one about addiction can be tough for you and for him or her. While you just want to see your loved one clean and healthy, it is easy to make someone who is in active addiction feel judged or shamed. Addiction also hurts the family and friends of the person who is using, but it is important that you do not allow that hurt to distract from the ultimate aim. There are trained interventionists who can help you convey the proper love and understanding that is needed. Most people who are deep into an addiction feel completely alone in the world and in their suffering. Usually, they have isolated themselves from people they care about or taken advantage of them so many times that they believe no one cares about them anymore. They often feel unworthy of love, ashamed of their behavior. An intervention is a great opportunity to show him or her that there are people who still care and are willing to help. Deciding to go to rehab can be scary and your loved one needs to know that he or she has support from those close to them. The goal of an intervention should be for the person, to decide personally that he or she will attend a rehab. You give a push, laying out the evidence of the detriment of the addiction and igniting his or her own want for health and connection. You do this by appealing to the part of him or her that has been buried by addiction, reminding them that not only are you still there to support, but that the person you love and who is worthy of your love is still there as well. In rehab, the client will learn ways to avoid relapse, partaking in activities such as yoga, art and fitness therapy and group therapy sessions where she or she will vent and share experiences with the rest of the group. Having the ability to deal with empathy and compassion will go a long way in creating connections, which are what help the person in recovery stay grounded and rooted in love beyond rehab. One important aspect of recovery, though, that is not discussed enough is aftercare. When people finish treatment, they will need to seek out aftercare options. Aftercare takes the form of 12-step and alternative groups, meetings, alumni programs and outpatient counseling. The 12-step and other programs help people learn to heal within the context of a group with attainable, progressive goals. In alumni programs, clients stay connected to the people they met in treatment as they go on adventures and support each other through fellowship. Outpatient counseling helps to continue the progress made in treatment. Addiction isn’t something that has a magic cure. You must continually maintain your recovery in the form of aftercare. When people enter a treatment facility for Narcotic addiction, they must surrender to the fact that they are powerless over their addiction. Addiction isn’t something that can be overcome through sheer will power. Help of others is required, as well as belief in something larger than the self. By maintaining this faith and your community of support, you will sustain your recovery. How Do I Recover from narcotic Addiction? Inpatient treatment is possibly the best way to recover from an narcotic addiction, followed up with support groups like the 12-step program. Will I Be Bored in narcotic Recovery? If you attend narcotic support groups, you will connect with many people, attend various events and participate in numerous activities. Can I Die from a narcotic Overdose? Yes. narcotic overdose has the potential to kill you. If you see someone showing signs of overdose, call emergency services immediately. Can I Overdose on narcotic? It must be understood that addiction is perpetuated by subconscious brain patterns that are established, deeper issues which are often psychological and cannot be overcome with determination alone. This is why rehab is so important, as the main treatment utilized is therapy. Cognitive Behavioral Therapy will help you to identify these patterns and issues. It will also give you tools to begin to shift those things that you would not be able to learn all alone. Group therapy gives space to build personal confidence, initiative and compassion for others. Another pillar of treatment is family therapy. Family therapy helps people to heal together with a therapist. People who fall into addiction get there for a bevy of reasons, but family dynamics are often a huge factor. Healing a whole family can be crucial to someone who is trying to recover from an addiction. Often, healing the family structure helps to heal the individual. When someone leaves treatment, he or she will need to have a safety net to depend on. In the treatment sessions, the clients will learn how to communicate effectively as a family, while understanding that addiction is a disease that is not necessarily the fault of any one person in the family. They will learn how addiction is much more complicated than that. Removing that guilt may help the family move forward in a healthy capacity. The family sessions will help the client learn to trust again and help the family trust the client. Overall, therapy helps to prevent relapse and ensure sobriety. Taking a step in the right direction by deciding to go to rehab can be a life-saving decision. Through rehab, you can learn how to live a life that does not have to be under the influence of drugs or alcohol. The detox, rehab and recovery process is not easy, but as it has already been proven by millions of people who have cleaned up, it is possible. If you are willing to put in time and effort, you can completely change your situation and make a comeback. The first step is to make the phone call. If you call us, we will have one of our addiction specialists help you get started. We will take down your health insurance information to see if you qualify for help paying for treatment. Most major insurance companies cover the costs of substance abuse disorder treatment. Even if you don’t have health insurance, you should still call us. We can help you map out alternative plans so that you can get the help you need. Location can be key. Many people think that it will be easier for them if they attend a rehab center near their home, but most professionals in the industry would recommend that clients travel for treatment. Getting away from your normal surroundings can help you realize that sobriety is possible. If you remain in the same city to complete treatment, there is a chance that you will walk out. It is an advantage to be farther away from the people that enable your drug use. Traveling to another city, where you don’t know many people, will push you to refrain from leaving and beginning to use Narcotics again. Not every rehab center provides detoxification to clients. Sometimes, that is something you must complete before attending the facility. When you call, we can make sure that you get into a suitable detox center, whether it be at the rehab center or a separate institution. Many people ask us if there is a way to skip the detox stage. During detox, most people experience withdrawal symptoms. Because of this, people who need substance abuse treatment might not want to attend. Do not let pesky withdrawal symptoms, a temporary discomfort, keep you from saving your own life. To make sure your needs are met on the journey to sobriety, research what types of therapy are offered at the rehab center you are considering. Most inpatient rehab programs include some hours of individual therapy. Meeting with a trained therapist one-on-one can help dig deep into what may have caused you to use Narcotics in the first place. Knowing what your triggers are could provide powerful information moving forward. Group therapy is offered with almost every inpatient and outpatient rehab program. Most people who abuse drugs, put their drug use above everyone important in their life. It can be awkward or uncomfortable to try to repair relationships with people. Most of your friends and families might not understand what it takes to fight back against an addiction. The people you will be in rehab with will understand this because they are going through the same thing. It will be an easier transition if you work on taking yourself out of isolation with those who understand first. After rehab, you can use the skills you developed to rebuild relationships with loved ones. Too many people sign up for short 30-day programs to just get it over with, thinking they will be cured in a shorter period. Rehab does not cure an addiction. It helps people learn how to deny the urge to use drugs or alcohol moving forward in life. Many people may need a much longer time in rehab to fully prepare for a life of sobriety beyond treatment. There are rehab centers that offer programs which can last anywhere from 10 to 90 days. Some even extend to 120 days or longer. Our addiction specialists can help you decide on an appropriate length. Some people choose to take shorter rehab plans because their health insurance only covers so many days in a treatment facility. We can go over that with you, if your insurance does not cover more than 30 days. It may seem hopeless; you may believe that you aren’t capable of recovery. The reality is, though, that you are strong. People who have been through addiction are very strong. They have experienced pain and hardship that many others can’t even imagine. You can do it. It is possible to get your decision-making skills back from the grips of your substance abuse problem. If you or a loved one need help finding substance abuse treatment or just want to talk about the problem and possibilities of treatment, call us now. There are people waiting to hear from you. Why Should I Go to Group Therapy for narcotic Treatment? Group therapy will show you that you are not alone in fighting narcotic addiction. Is Group Therapy for narcotic Addiction Helpful? Group therapy with will not only help you learn how to express your feelings on narcotic addiction, but it will also help you form lasting and healthy friendships. Inpatient facilities include residential facilities where clients will live with others who are going through treatment as well. Typically, a patient can stay 30, 60 or 90 days. Every day each person goes to addiction education sessions, group counselling, one-on-one therapy or family support meetings. Removing the addict from the environment that created the addiction in the first place is the top priority, which is why it is best to travel for care. Inpatient rehab also works to treat the underlining cause of the addiction; psychological, historical or environmental. This form of treatment has the best results as it usually leads to lasting recovery. Outpatient programs allow the patient to schedule meetings with a therapist around his or her life. The patient stays at home and goes about work, school and normal activities. This is not usually advised as a primary or sole form of treatment. Stress itself can be a trigger to use and if someone is already in the environment he or she used in before, this amplifies the odds of relapse. It may be better for the patient to stay at a sober living facility while going to outpatient. While this form of treatment isn’t for everyone it can be helpful for people with unique circumstances or who have already been through a more intense program and want to continue from a distance. Outpatient can also be helpful to someone who has been through treatment and sustained a long recovery, but is wavering in his or her sobriety and needs a little extra support. If your child is abusing Narcotics, there are probably sign of the drug abuse to observe. Kids and adolescents who abuse drugs often begin to receive lower grades or are absent from school a lot. They may be indignant, defiant or more difficult to discipline. They may ask to borrow money from parents, siblings, or friends. You may notice small items begin to go missing. They will become secretive about where they’ve been and may try to keep their parents out of their room or personal belongings. Their attitude will take a turn for the worse; going from helpful and positive to depressed and angry. There will be a change in their friends. If you are seeing signs of drug addiction in your child, do your best not to enable the use. Your child will try to lie to you asking for money or even steal things from you to sell in order to score drugs. If you need help speaking to your children about drug addiction and alcoholism, call us. We can put you in touch with an interventionist or a family therapist. Interventionists are individuals who specialize in planning and holding interventions. They can give professional insight on how to address this sensitive matter productively, giving you the best chances of helping your child. Do not let your child slip closer to death. If you suspect your son or daughter of having a Narcotics addiction then step in as soon as possible. Each day you hold off talking to them is another day, there is a risk overdose and death. Help your child now before it is too late. You will build a stronger bond with your family and repair any damage caused from narcotic addiction. When you abuse narcotic, you may have caused your family great harm. Going to therapy can help your family see you are changing and they will give you their full support. Will Inpatient Treatment Help my narcotic Addiction? Inpatient treatment is one of the most effective ways to recover from narcotic addiction. 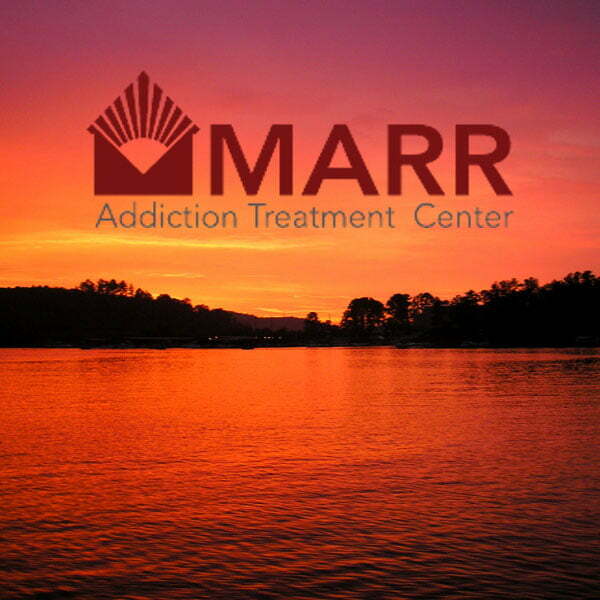 How Long is narcotic Inpatient Treatment? The length of your stay in an inpatient program depends on your narcotic addiction and the program you choose to go to. If you are considering treatment for an addiction, you should travel for treatment. Traveling for treatment effectively removes you from the place where your addiction originally sprouted. People who travel for treatment have a much higher chance to avoid relapse. When you leave the place that your addiction grew out of, you will leave the people and places that trigger you to do drugs. Traveling for treatment is also a great way to create a new beginning for yourself. Everybody deserves a second chance in life and traveling helps make that second chance tangible. Traveling for treatment is also a great way to maintain privacy. People won’t know your name or who you are in another city and that can help you focus on what’s important: getting healthy. Traveling for treatment is not running away from your problems. If anything, it is the opposite, you are taking your addiction head on. Skipping town for a while to focus on your rehab program will give you an advantage because you will be less likely to know where or how to score drugs and it will remove common stressors that may be triggers for you. If you attend a rehab facility in your town, you can more easily leave to use. Right now, your current surroundings are pointing toward you using Narcotics. If you are able to get away for a few weeks, you can realize that reaching sobriety is possible. When you are ready to start finding a rehab center in a different city or state, call us. We can help you find treatment in any part of the country. If you think that you or someone else has overdosed on Narcotics, call 911 to contact emergency medical services immediately. Overdose is a very serious event that can cause severe health conditions, permanent organ damage and brain damage and is very often fatal. Signs of overdose on Narcotics include excessive sleepiness, inability to wake, confusion, delirium, nausea and vomiting, very small pupils, issues with breathing, cold or bluish skin. The most common symptom of Narcotics overdose is respiratory depression, which is when the breathing slows, becomes shallow, or ceases altogether. This cuts off the supply of oxygen to the brain which causes parts of the brain to stop functioning and for the tissue to die. From there, the person may have a stroke, have seizures, enter a coma and die. The heart may also malfunction from Narcotics overdose, although the respiratory system is what typically turn the situation fatal before anything else can. Abusing Narcotics is a dangerous habit and your chances for overdose get higher the longer the abuse continues. People who have high tolerances from abusing Narcotics for a long time can overdose trying to feel the same high they used to feel. With the current opioid endemic in the United States, there are many different Narcotics that may be stronger than expected, causing many overdoses. Call us. We specialize in helping people find both inpatient programs, outpatient programs and detox centers. We also provide help in planning and performing interventions. Will Outpatient Help my narcotic Addiction? Yes. Outpatient will help your narcotic addiction, but works best if you attend inpatient rehab first. When you are ready to recover from your narcotic addiction, you should go to inpatient treatment and follow it up with outpatient rehab.